We have a bunch of registrations so far. Shortly we will be mailing the books out. Sorry for the delay, however the website will stay updated from this point on. Read Below to learn more about the games! 2. GS Group #7817 The Outdoor Group Cheshire CT.
3. GS Troop #502 Newington CT. There are a few more registrations but I don't have them in front of me....more to come! TGCSC is an outdoor camping competition for older Girl & Boy Scouts throughout Connecticut and other New England Councils. It is an event designed specifically for older scouts to test their cold weather camping abilities, and to have fun competing with and making friends with Girl & Boy Scouts from all over. Competitions you can expect are: Flag Pole Lash, Travios Lash, Orienteering, Leadership Reaction Course, Cook Off, Scavenger Hunt, Knots, Skit, and of course always beware of surprise events! You will also be Inspected twice once when you check-in and then again when your site is set up. Both of these inspections are worth points! Keep in mind that the inspections are for your patrols safety and they should point to problems you may have over the weekend. For example, if your scouts do not have proper clothing during inspection #1 they may be cold or wet later on during the weekend! All of the rules and regulations are in the TGCSG book you receive when registered. Make sure to read it Thoroughly!!!! It is the best advice we can give! The original Games were held in 1992 at Camp Meribrite as a Silver Award project for Bloomfield Troop 372. A brief lapse occurred between the first and second games. 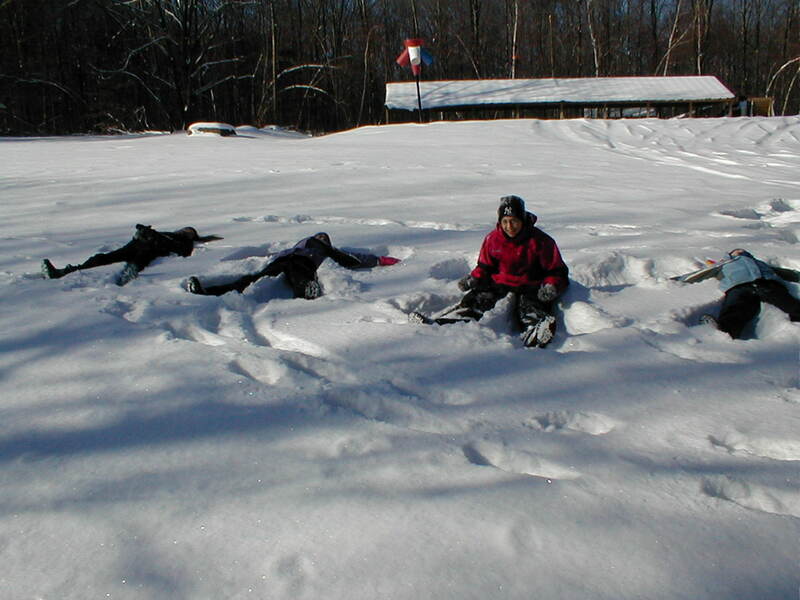 However in 1996 the 2nd Great Girl Scout Games (TGGSG) was run as a Gold Award project at Camp Maria Pratt. With the help of Bloomfield GS Troop 372 and the UCONN student staff, the games were once again on their way. There was 1 Boy Scout Troop in attendance at the 1996 games. The 3rd TGGSG was again held at Camp Maria Pratt and many of the original staff members returned. In 1997 a decision was made to rename the event as The Great Connecticut Scout Games; due to the increase of Boy Scout participation. In 2000 TGCSG had the most patrols registered ever, but because of the CT no open flame law, was cancel. This was very disappointing to us as well as many troops! In 2002 we returned to Maria Pratt, after a few years at camp Anseox. And believe it or not we couldn't have fires yet again! But that didn't stop us this time and it also didn't apply to gas stoves THANKFULLY! We also had our first out of state patrol join us from MA. In 2000 we did have a registration from RI but since the event didn't take place....Anyway Just want to thank all of the troops for coming. It was great having all of you, especially the new troops! Till 2005! If you Have any questions about The Great Connecticut Scout Games don't hesitate to ask! Contact Us!